Jameel Kadhim was sentenced on charges of making false allegations that undermined national elections. A Bahrain appeals court on Sunday upheld a six-month prison sentence against a senior leader of the main Shi’ite opposition al-Wefaq group handed down last month over tweets about election financing, his lawyer said. Jameel Kadhim, a former parliament member and president of al-Wefaq’s consultative council, was sentenced to six months in jail and fined 500 dinars ($1350) by a court in Manama on charges of making false allegations that undermined national elections. The public prosecutor at the time said Kadhim had claimed in statements to the media that some candidates were paid money to run in last November’s parliamentary elections which were boycotted by the opposition. He is one of several opposition figures to be jailed for tweets or public remarks in recent months, in what opposition officials say is a campaign by authorities to crack down on the opposition which is demanding political and economic reforms. Kadhim’s lawyer, Abdallah al-Shamlawi, said in a message on his Twitter account that the court had upheld the ruling of the lower court. “The appeals criminal court confirmed the jailing of Mr. Jameel Kadhim over his tweets about the role of political money in the elections auction,” he wrote. Last month, al-Wefaq’s head, Sheikh Ali Salman, regarded as the country’s most senior opposition leader, went on trial on charges of promoting the violent overthrow of the political system, a case that has riled his followers and inflamed unrest in the Sunni-ruled Gulf Arab state. Al-Wefaq boycotted a parliamentary election last year partly because it said voting districts favoured the minority Sunnis in the majority Shi’ite kingdom. 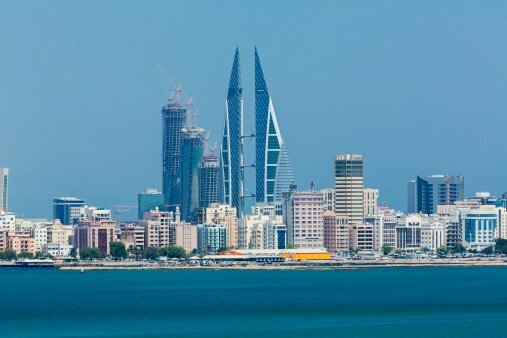 Bahrain, where the U.S. Fifth Fleet is based, has been in turmoil since mass protests led by Shi’ites in 2011 demanding reforms and a bigger share in government. Authorities quelled the protests but unrest continues to erupt from time to time. Bahrain says it has implemented wide reforms and accuses the opposition of making unreasonable demands.